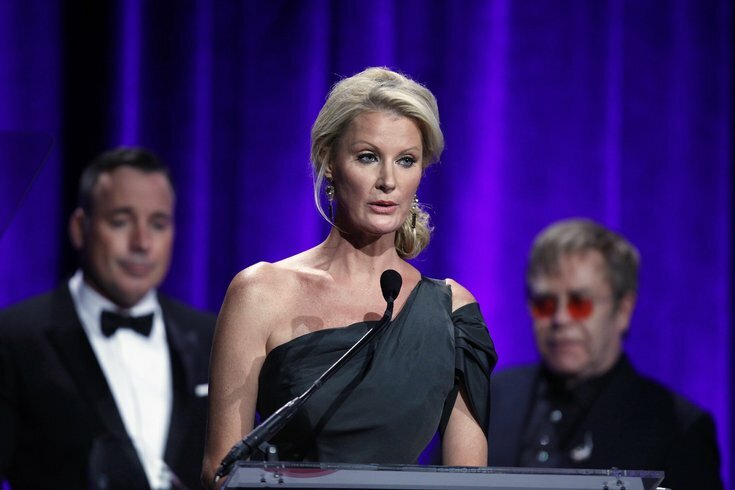 Sandra Lee (C ) speaks after she received her award during the Elton John AIDS Foundation's 12th Annual "An Enduring Vision" benefit gala at Cipriani in New York in this October 15, 2013 file photo. Sandra Lee, a television chef and longtime girlfriend of New York Governor Andrew Cuomo, has been diagnosed with breast cancer, and the governor will be taking time off to be with her, his office announced on Tuesday. Lee, 48, will undergo a double mastectomy this week, she said in an appearance on ABC's "Good Morning America" program. The cancer was detected in its early stages after a mammogram in March, Lee said. "That's just how fast life turns. It turns on a dime," Lee added. Lee said she has had a lumpectomy and now has chosen to proceed with the mastectomy. "A situation like this quickly puts life in the proper perspective and reminds one of what's truly important," Cuomo said in a statement released by his office. "To that end, I expect to take some personal time because I want to be with Sandy to support her in any way I can as she handles the trauma of her operation and the pain of the recovery," Cuomo said. A celebrity chef, Lee promotes what she calls "Semi-Homemade" cooking, using a mix of prepackaged and fresh products in her recipes. She hosts shows on the Food Network, is author of several cookbooks and is editor-in-chief of Sandra Lee Magazine. She also has launched lines of home, garden and craft products and produced a do-it-yourself home improvement series. Cuomo, a Democrat, has been governor since 2010.